The world is changing every day. As technology changes the way we live our day-to-day lives, it is fascinating to imagine what the immediate future will bring. Never before in history have new innovations unfolded so quickly from global health to social justice to humanitarian aid, a slew of scientists, technologists, and activists have come together over the last year to create impactful solutions to some of our most pressing problems. Below, we look at 20 initiatives that are set to make a real difference and positively impact people’s lives. While Africa may be catching up in many respects, this is not the case for those who are unable to walk. 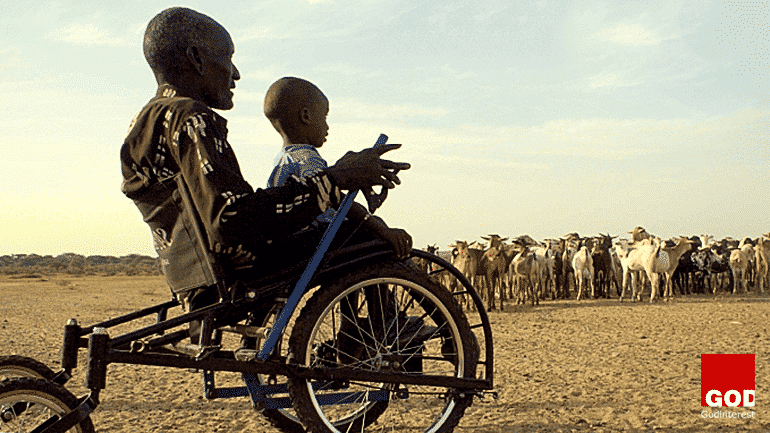 Safariseat is a revolutionary low-cost, all-terrain wheelchair that gives people independence, unlocking access to education, employment and a life beyond the confines of their own home. “There is great power in being able to see from each other’s perspective, to understand how one another feels and to have true empathy for those with backgrounds different to our own. Our beliefs, our habits, our unique abilities; diversity is life’s greatest asset, which makes inclusion one of our greatest design challenges” explains co-founder Cara O’Sullivan. The seat is projected to start production in Kenya in the coming months. Safariseat is made of bicycle parts, and the device is propelled forward by hand levers and durable wheels. “Open design is empowering, inclusive and ethically sound – it creates better products by crowdsourcing ideas and experience” explains Deeble. One day while out walking with the kids, Kenton Lee noticed that the little girl in a white dress next to him had shoes that were way too small for her feet. Over 1.5 billion people suffer from soil-transmitted diseases worldwide. That led to a brilliant idea. With The Shoe That Grows, kids are more healthy, attend school more often, and are more confident. 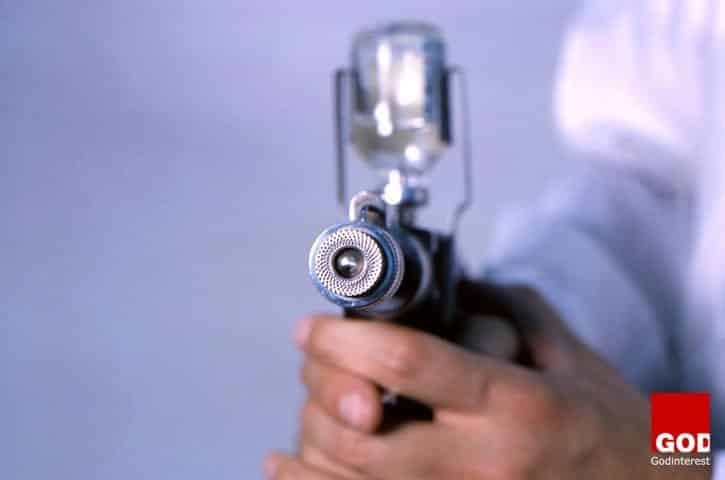 It took 5 years of hard work and experimentation, his idea had become reality. 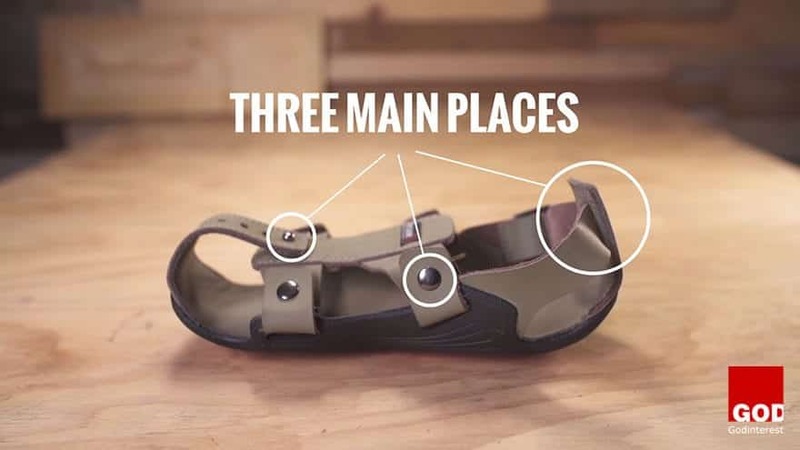 The shoe has 5x the impact of ordinary shoes because it expands 5 sizes and lasts for years. 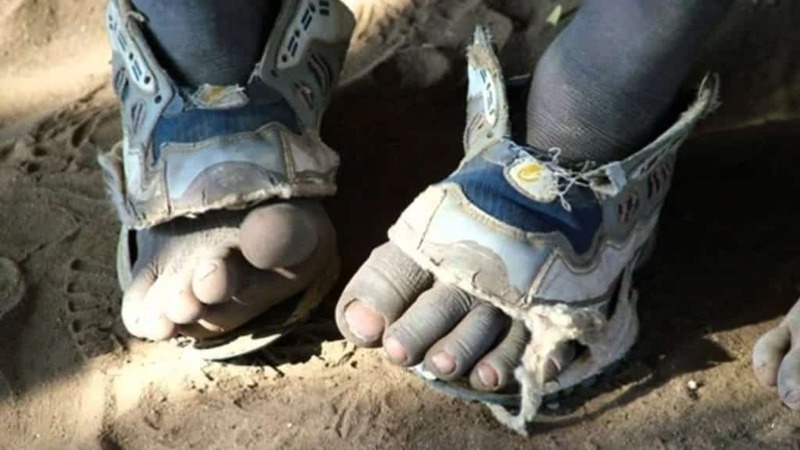 The Shoe That Grows is making an impact in developing regions around the world where the nonprofit delivers donated shoes to children and families. Almost every Indian woman wears a bindi — a traditional symbol of beauty. But what if these tiny little dots could do more? In rural India, millions of women suffer from Breast Cancer, Fibrocystic Breast Disease, and complications during pregnancy. Most of these cases are linked to an iodine deficiency. 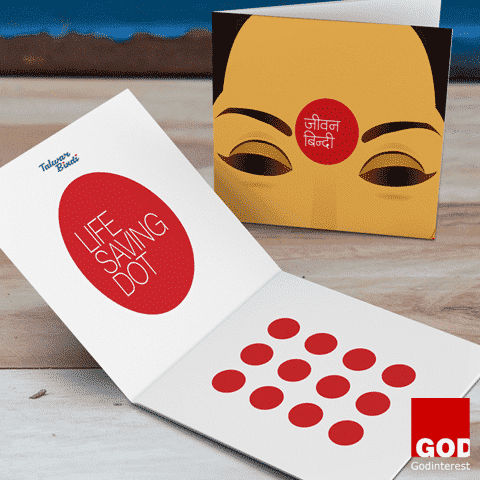 The Life Saving Dot is an idea that transformed bindis into iodine patches. Every woman requires between 150 — 220 micrograms of iodine daily. The bindis deliver a wearer with the recommended daily amount of iodine and only costs 10 rupees – or 16 cents – for a packet of 30, fitting the budgets of women in rural India. Previous attempts to reduce the deficiency with tablets had failed–Indian women just weren’t used to taking them. This is a great example of how a simple solution, aligned with everyday practice, can solve a fundamental problem. The NIFTY cup for newborns: when breastfeeding is not an option. When an infant in a developing country is unable to nurse, they’re at risk of severe malnutrition – or even death. This PATH-designed cup provides an ingenious way for infants to sip with a spout that makes collected milk easy to drink by infants with cleft palates. The cup is reusable and only costs only $1 to create has already been credited with preventing starvation of infants in poor African communities. A collaboration with a nonprofit manufacturer is bringing it to market. It will soon be widely distributed in Africa. Each year, 20 million premature and low-birth-weight babies are born. 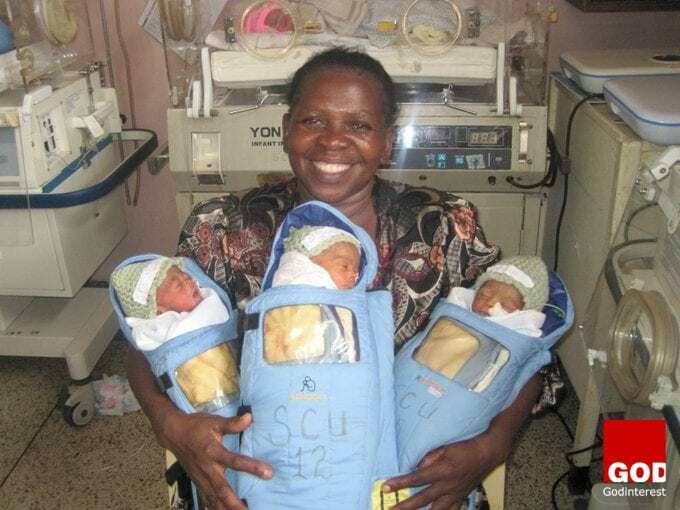 In developing countries, mortality for these infants is particularly high because incubators are extremely rare. The Embrace Nest is an easy-to-use, portable infant warmer that does not need a continuous power supply. 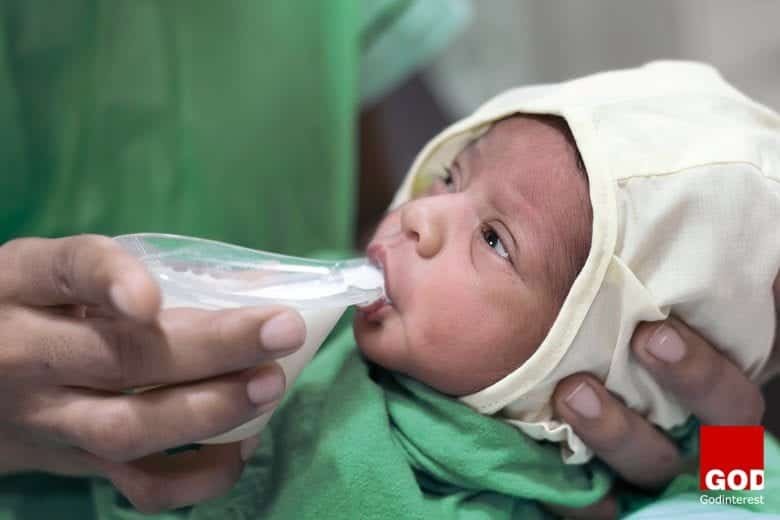 Designed for hospitals and ambulances, it is used in NICUs and wards, and for transport, when skin-to-skin care (a part of Kangaroo Mother Care / KMC) is not possible. 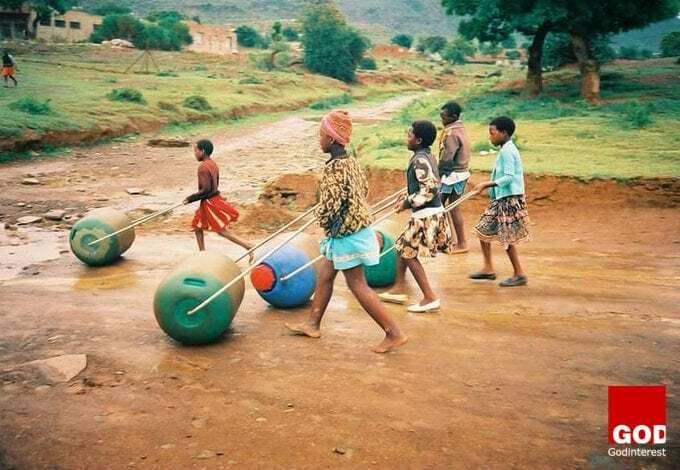 The “Hippo Water Roller Project” was established in 1994 in response to the unique needs and constraints in terms of access to water of rural women and children across Africa. Hippo Roller makes it extremely easy to collect water in tough rural conditions — up to 5x more water than a single bucket, by simply rolling it along the ground. Most benefits enjoyed are experienced immediately: The Hippo Roller improves health and hygiene and makes more water and time available for education, household tasks and food production. Safely administering a vaccine in a developing nation can be difficult with the complexities of sterilization but are crucial in curbing the impacts of diseases and illnesses around the world. The PharmaJet Stratis Needle-Free Injector delivers vaccines either intramuscularly or subcutaneously by means of a narrow, precise fluid stream that delivers the medicine or vaccine through the skin. The single-use medical device uses up to 80 percent less vaccine than a traditional needle injection. Drinking contaminated water can lead to devastating disease and illness. It’s estimated that every 90 seconds a child dies from a water-related disease. 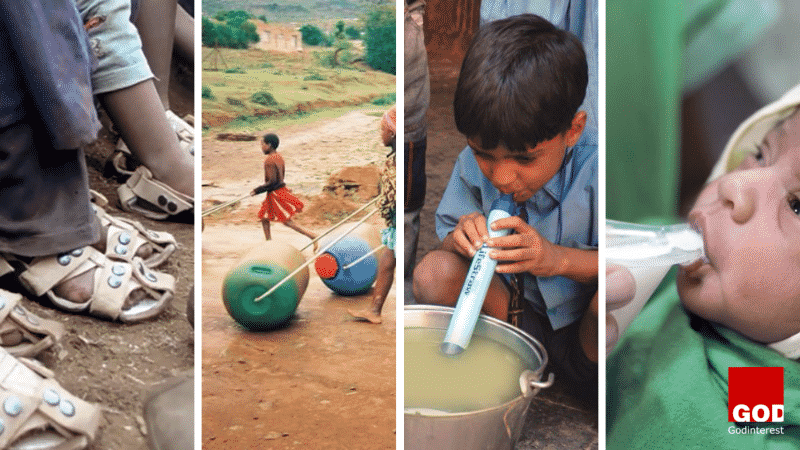 The LifeStraw is making contaminated water safe to drink. About 783 million people – or 11 percent of the world’s population – lack access to improved sources of drinking water. The LifeStraw is a water filter designed to be used by one person to filter water for drinking. It filters a maximum of 1000 litres of water, enough for one person for one year and removes almost all of waterborne bacteria and parasites. The company not only provides straws to communities in need but also donates larger filtration systems to poor communities around the globe. When Canadian science graduate Christopher Charles visited Cambodia six years ago he discovered that anaemia was a huge public health problem. Pregnant women faced serious health complications before and after childbirth, such as hemorrhaging. Iron deficiency is the most widespread nutritional disorder in the world, affecting an estimated 3.5 billion people. 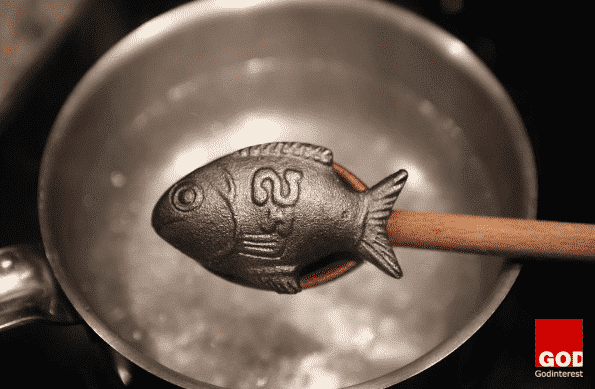 Lucky Iron Fish are fish-shaped cast iron ingots used to provide dietary supplementation of iron to individuals living affected by iron-deficiency anaemia. However, the standard solution – iron supplements or tablets to increase iron intake – isn’t working. The tablets are neither affordable nor widely available, and because of the side-effects, people don’t like taking them. The Iron Fish is an object that families can place in a pot of boiling water prior to cooking to enrich vegetables with additional iron. The company works on a one-to-one donation scale, allowing individuals in developed nations to purchase their own fish while simultaneously donating one to a family in need. Are there any great inventions we missed? Please feel free to add to this wonderful list. These are great! I love reading stories about new products in the social entrepreneurship world!